Wow, what a show! 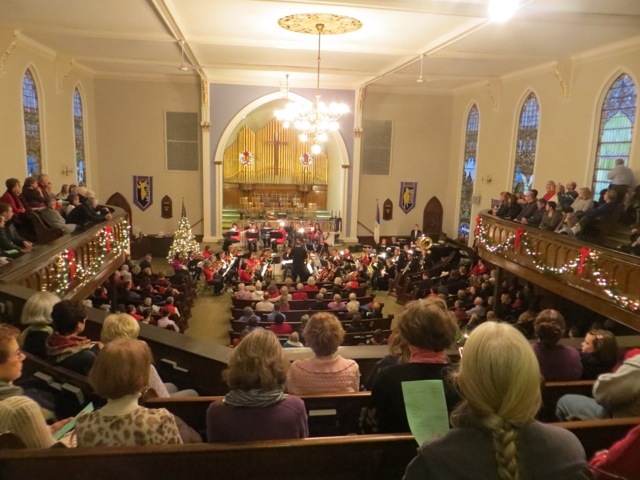 Stone Soup PACKED over 500 seats in the Hackettstown 1st Presbyterian Church. Here’s what people have said about it in AmericanTowns, and the Warren Reporter. Here’s a copy of the program. Abdel Oualim shot some great video of the whole concert. Check it out! A great show like this doesn’t happen by magic… a lot of people put in a lot of effort, time, and talent to pull it off. Our Conductor Ed Meisner for herding a bunch of cats into a quality symphony orchestra. He did a fantastic job with the music selection and getting everyone working together. Our Concertmaster Sue Ann Kintis for her hard work managing the string section. A gift card and bouquet of roses were given as a token of our thanks. Our marketing team of Sue Siersma and Steve Gallopo for getting the word out to everyone via newspapers, websites, letters, etc. and generating such a tremendous turnout. Pastor Birda Ferguson and everyone at the 1st Presbyterian Church for not only graciously allowing us to use their beautiful facilities, but for also playing a mean bass! All the wonderful singers who volunteered to help us perform the Hallelujah Chorus. Thank you for your time and talent. Everyone at WRNJ Radio for helping us spread the word via interviews and commercials. They have been terrific supporters over the years. Lamb Printing for our Flyers. And finally, to YOU our audience, without whom there would be no concerts. Keep coming back! Just a comment that there were some unfortunate errors in the program handed out at the show. My sincere apologies to all those affected. Luckily(?) there weren’t enough to go around at the show. The corrected program is HERE. This is a fun festival that runs all weekend. 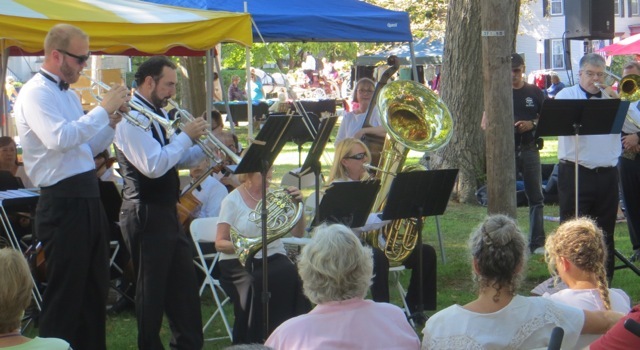 Come early to enjoy the fair, because when Stone Soup is done, so is the festival. Great show on August 28th, for the City of Passaic’s Summer Concert series. 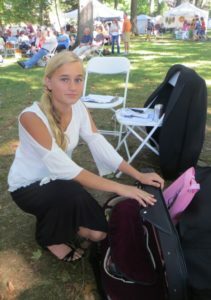 The Stone Soup Symphony performed a joint concert with singer Lauren Layfield. 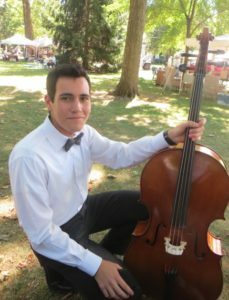 Sunday, June 8th, 3:00pm – Public concert at Sussex County Community College. 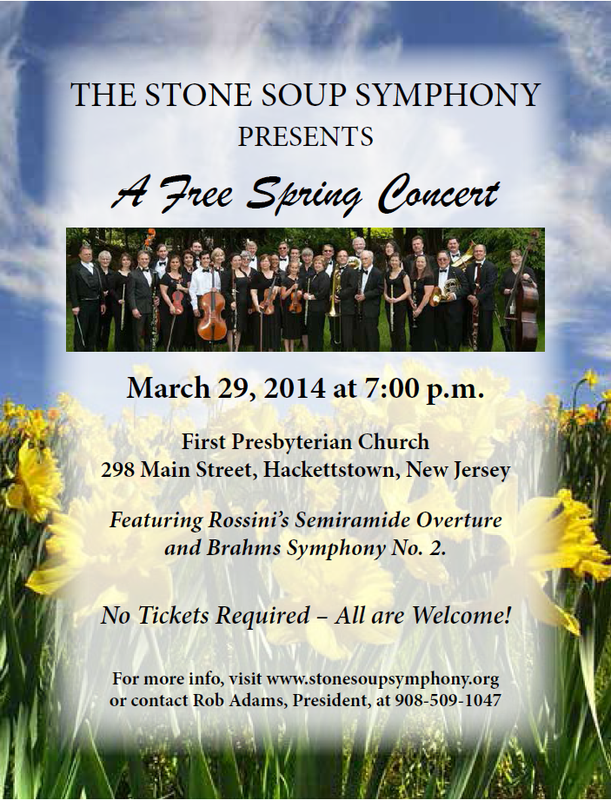 Saturday March 29th, 7:00pm – Public concert at Hackettstown 1st Presbyterian Church. WRNJ Radio as always, was terrific about spreading the word. Here’s the radio ad! Also, a big thank you to Birda, Virginia, and Bill for volunteering their time and stories to make this interview so interesting.